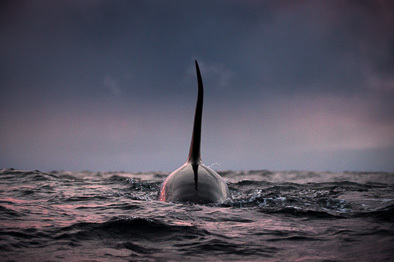 Orcas which specializing in hunting Herring have a very uniquely designed tail for slapping ball of fish. 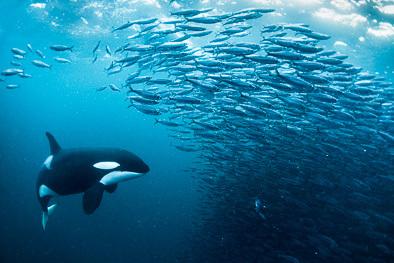 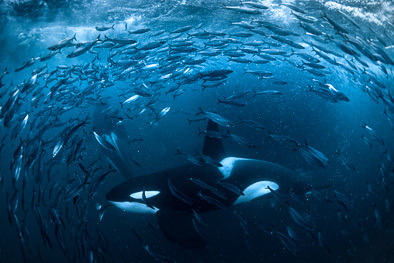 Orcas will release bursts of bubble or flash their white undersides to round prey such as salmon or herring into a tight defensive bait ball close to the surface. 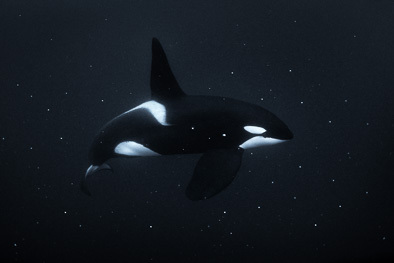 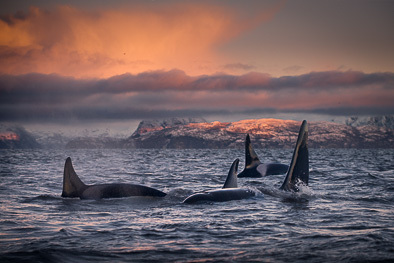 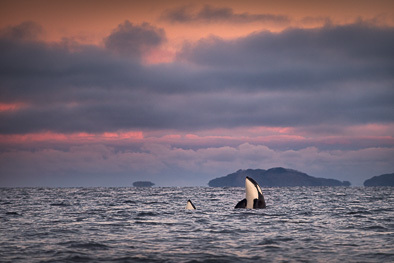 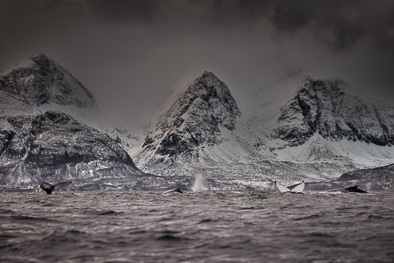 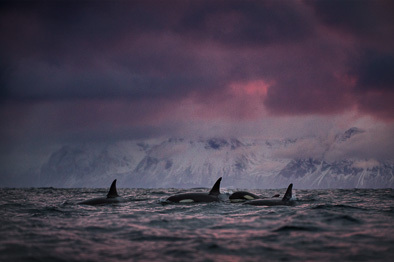 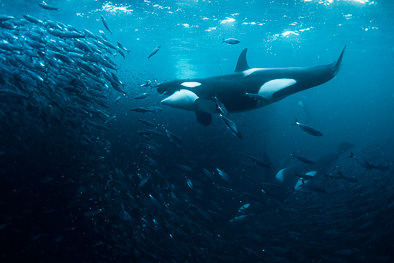 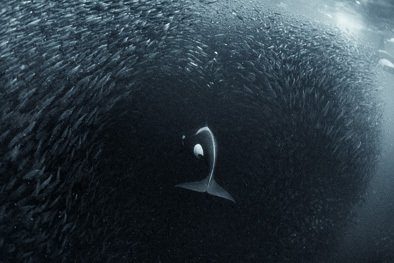 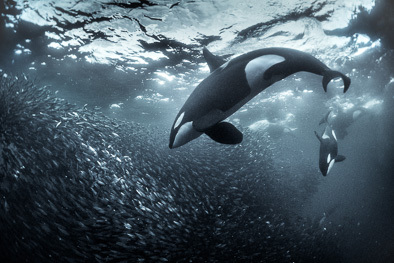 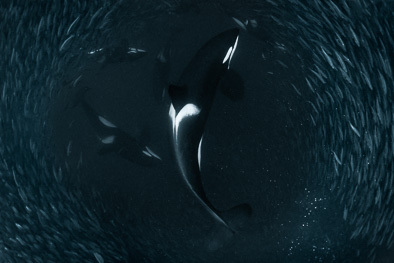 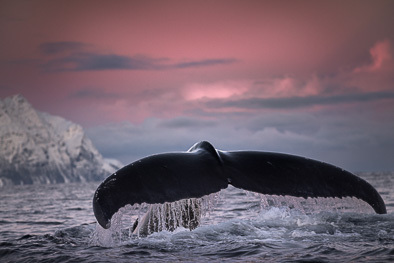 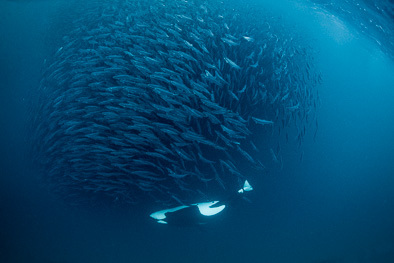 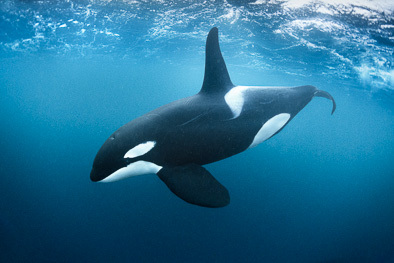 The orcas then slap the ball with their tail, stunning or killing up to 10-15 herring.